The Lord has called His apostolic Church to be faithful in confessing Jesus is the Christ, that He is the Lord. Peter eventually led the way of the holy Apostles in preaching and teaching Christ. 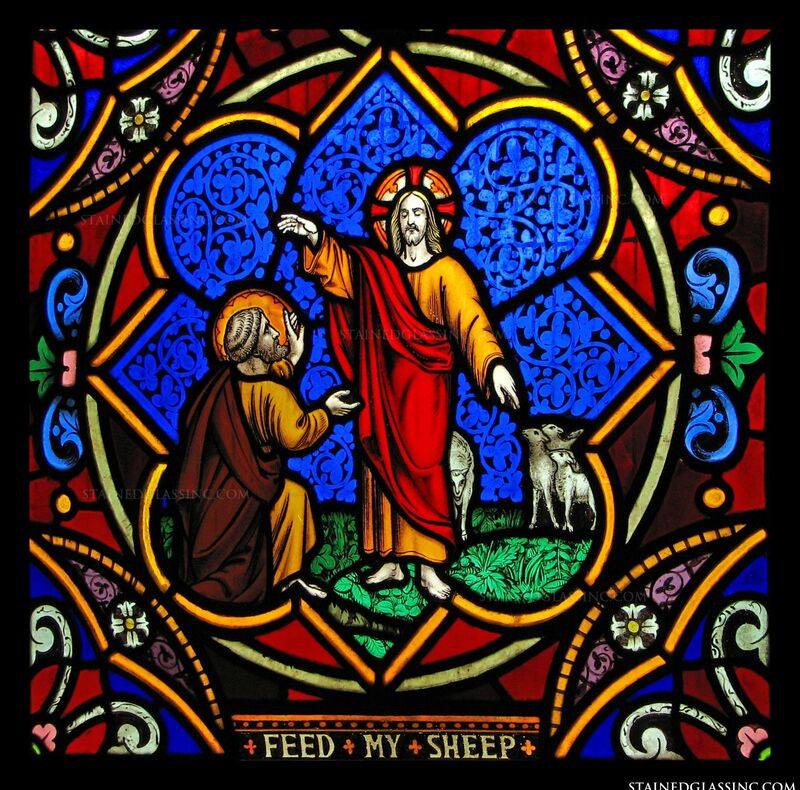 Peter who had denied Christ, was faithful to Christ’s command to him, “Feed My Sheep”. Pastors are called to be faithful in confessing Christ, to feed and lead His people so that others may hear of the Savior. If pastors, ministers and priests trust their own thinking about Christ, and not the Word, they, “…will lose Christ” (Luther). What is the difference between Peter and the others? Is he of such heroic nature that he towers over the others? He is not. Is he endowed with such unheard-of strength of character? He is not. Is he gifted with unshakable loyalty? He is not. Peter is nothing, nothing but a person confessing his faith, a person who has been confronted by Christ and who has recognized Christ, and who now confesses his faith in him, and this confessing Peter is called the rock on which Christ will build his church. Peter’s church–that means the church of rock, the church of the confession of Christ. Peter’s church, that does not mean a church of opinions and views, but the church of the revelation; not a church in which what “people say” is talked about but the church in which Peter’s confession is made anew and passed on; the church which has no other purpose in song, prayer, preaching, and action than to pass on its confession of faith; the church which is always founded on rock as long as it remains within these limits, but which turns into a house built on sand, which is blown away by the wind, as soon as it is foolhardy enough to think that it may depart from or even for a moment to neglect this purpose. St. Augustine: Upon this rock I shall build my faith; the faith you confess. Upon what you have said: Thou art the Christ, the Son of the living God: I shall build my Church. The Lord gives to His catholic and apostolic Church the keys of the Kingdom. Immediately following Peter’s Confession, Jesus tells them He must suffer, die and rise again. This is key. His all-availing Sacrifice means the forgiveness of sins and the justification of sinners. This is key. In Him, He builds us into His Church and the key is His blood shed in forgiveness for us all. He gives us the Holy Spirit to teach and preach Christ Jesus. This is key.